Hydraulic fluid was the one thing I didn’t change on the x475. I found a decent indicator of the hours. The fluid looked good coming out, but I think they put the filter on with an impact. The strap wrench crushed it before removing it. Also found the exacts leak. If the pipe is thin, try brazing, many muffler shops do it that way. rydplrs and Levi like this. I appreciate the tip, but for this if I can’t fix it easily I’ll just get a new one. I hope I can weld enough in place to remove it as one piece. Levi and JD4044M like this. Man can they fit anything more under the smaller tractors to take off to get to the problem? I have noticed a $20 Grand Tractor with everything on it and there is no room to get to the middle with out taking the outside off! Glad I got lots of room to do stuff to my 4044M. Bad enough I can't see the engine in my Truck from the stuff they put on top of it in the way to work on it! mjncad, Levi, GKofTX and 1 others like this. 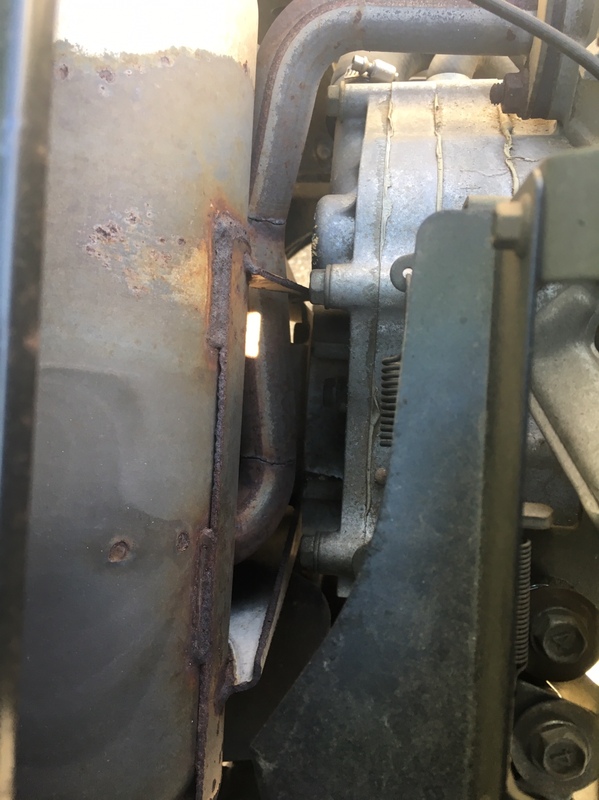 I have found that the transaxle temperature varies greatly with the ambient temperature and the load on the transmission - more so than how many times you transition from forward to reverse. On my X500 unless it is a very warm day the transaxle barely gets above ambient after mowing. However, if I am pulling my 900 lb. lawn roller on a warm day the transaxle will get almost too hot to touch. 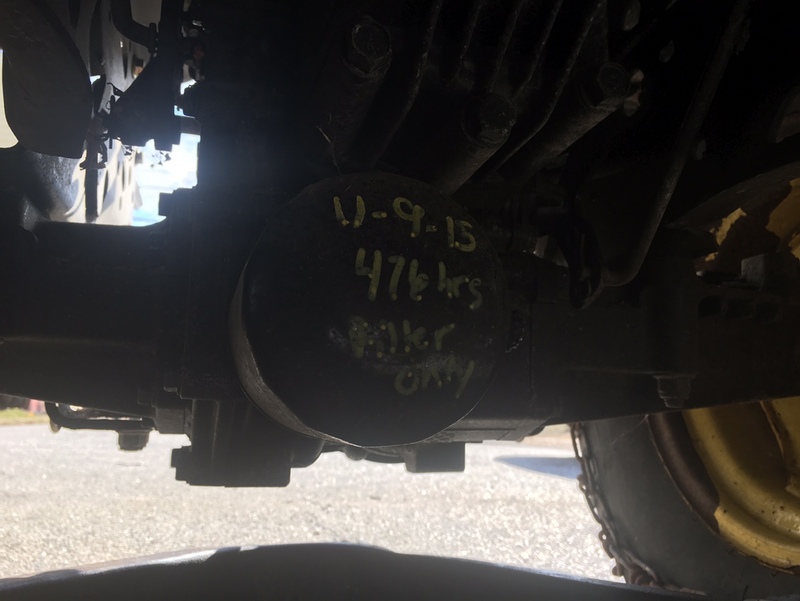 But... pulling that same roller on a 50-degree day the transaxle barely gets warm. mjncad, rydplrs, Levi and 3 others like this. Thank you, good to know. It was about 78 degrees out while I was cutting. During the summer months when it's in the 90's every day I only cut in the mornings while it's still cool.. The yards are mostly flat as well.. I didn't know what to expect with this being the most work it has done since I got it.. The only thing that will work harder is the engine when I start cutting thick wet grass in another month.. I'll do another oil change before then..
rydplrs, Levi, JD4044M and 1 others like this. Got the pre emergent fertilizer down on the lawn. rydplrs, Levi, so.fulton and 2 others like this. Still haven't taken the snowblower attachment off yet, but there's 3" of snow on the ground right now so I'll keep waiting. rydplrs, Levi, Cutty72 and 1 others like this. rydplrs, Levi, TJR345 and 5 others like this. 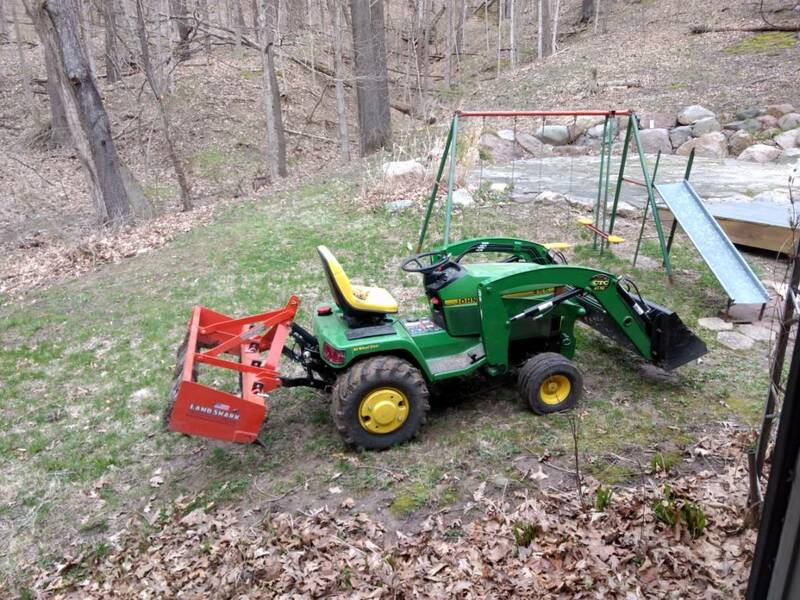 Finishing up all my spring dirt work before I swap the wheels, loader and box blade for the 60" deck. Grass cutting is about a week away! Levi, TJR345, so.fulton and 2 others like this.